Watch the exclusive opening credits video for the slasher musical Sweeney Todd : The Demon Barber of Fleet Street. Also watch a mini clip of Depp's recording for the musical score. And I admit he can really sing. Two thumbs up for Johnny. hello po. 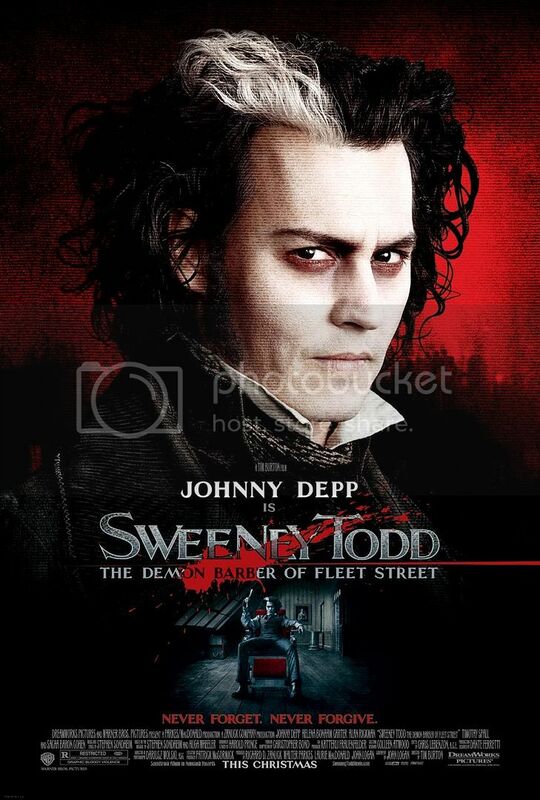 hindi ko po maview ung sweeney todd opening credits and johnny depp's singing session. haha. have you removed them na po? Di ko pa dinedelete yung mga video na iyon. It seems that may bug ngayon sa multiply kung saan kasalukuyan kong hinohost mostly ng videos ko. Ihope maayos nila agad ito. FOr now, siguro switch muna ako sa secondary video host ko and IMEEM. Try going to my IMEEM page and you can view those videos.